Get to know the wonders of your kitchen! Bizarre and delightful, an Indian Educational Poster can spruce up even the dreariest room. These posters feature lessons that range from the baffling (Moral Stories), to the somewhat limiting (Women at Work), to the beautifully simple (Parts of the Body). 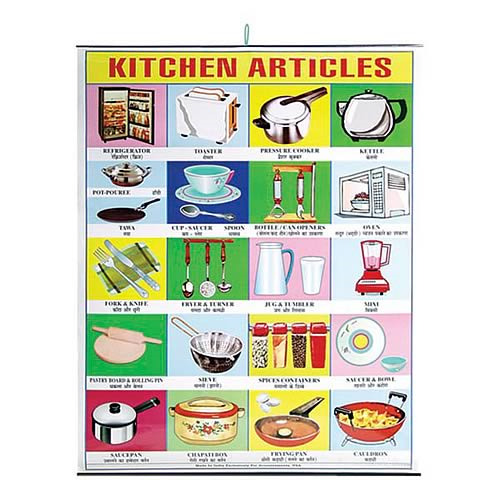 Each 22-inches wide x 28-inches tall poster is made with glossy poster stock with metal strips on the top and bottom edges and comes with a fabric loop for hanging. Order yours today!